Today, I’ve a guest food blogger, let’s call him Mr Nice-Gay-Finish-Lust or Mr NGFL. Bear with him because he’s a bearand he’s not as funny as I, but his reviews are serious worh. Can trust him. Wise Guy and I arranged to eat sichuan food in chinatown before our regular activity every third Thu of the month. When I suggested sichuan food, I made sure to check he eats spicy food. His reply, “Of course!!!”. But after taking his first bite from the mala xiangguo (麻辣香锅), I counted the number of seconds that he was speechless. It was almost a whole minute before he regained control of his speech function and remarked, “This is very spicy”. As you can tell from the picture, mala xiangguo looks like a dry hotpot. You pick the ingredients that goes into the xiangguo. You select the level of spiciness – spicy, spicier and spiciest. The chef stir fries the ingredients with the spices (dry red chili and peppercorn) that spice up the mala soup in a hotpot and more (garlic, spring onion and ginger). 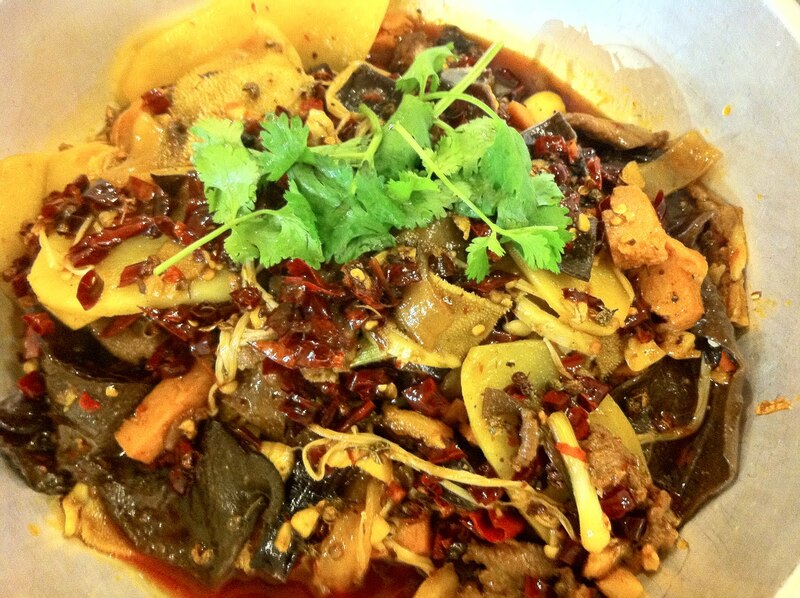 The result is a fragrant and spicy pot of meats and vegetables. We picked slices of beef, beef tripe, luncheon meat, enoki mushroom, black fungus, potato and sweet potato noodles. 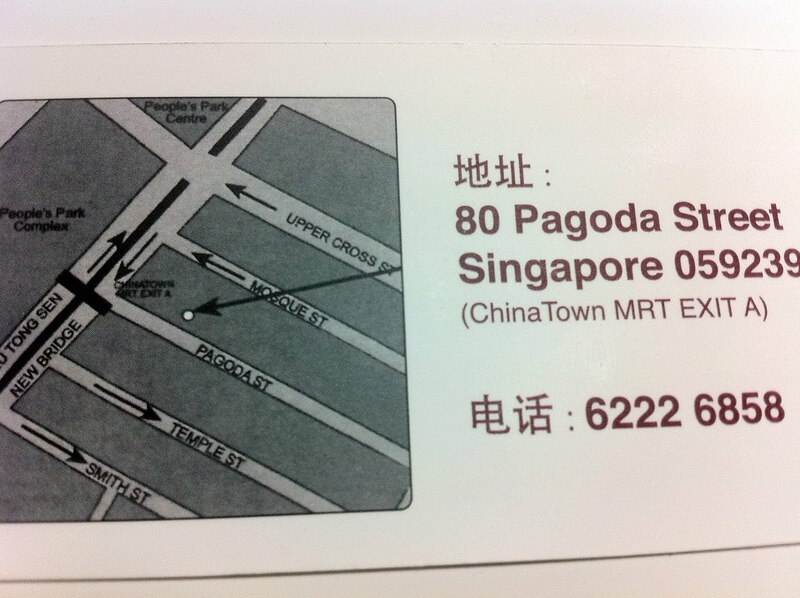 It was probably authentic when we noticed we were probably the only two Singaporeans in the restaurant. The dish was also very yummy but Wise Guy would probably beg to differ. 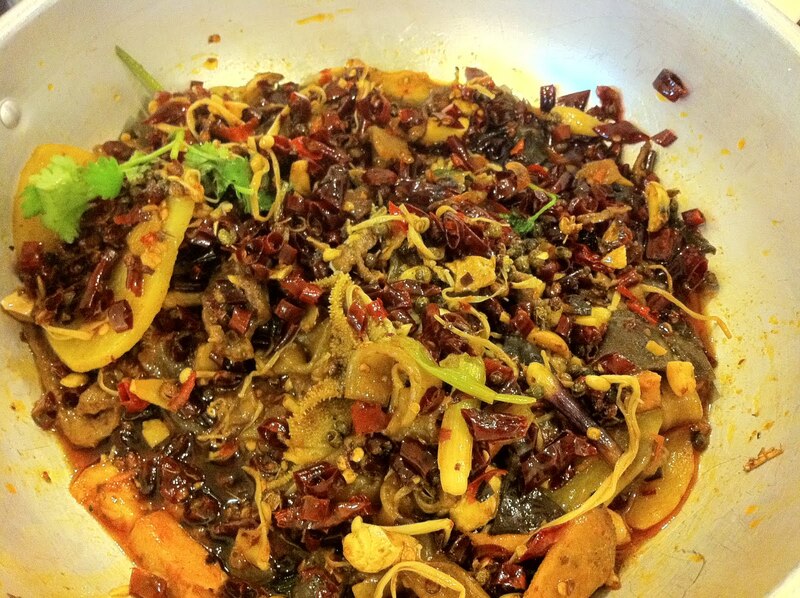 The dish was big enough to feed at about 3 persons with moderate appetite and addiction to sichuan spices. You had to select at least $35 of ingredients for them to prepare this dish for you. I have tried other dishes before this visit and the lazi jiding (辣子鸡丁) and fei teng yu (沸腾鱼) at this restaurant are excellent. The service was ok but could be faster. At the end of the dinner, I enjoyed seeing Wise Guy eating his words and not eating the xiangguo. Poor guy!